The full down autorotation course is designed for experienced pilots who wish to improve their autorotation and emergency landing skills in a safe training environment by highly skilled instructor pilots. 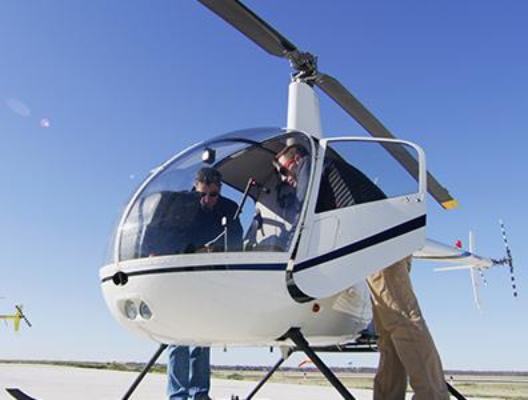 This course will provide the ground and flight training necessary to safely transition a helicopter pilot from autorotations with a power recovery to full down autorotations in a Robinson R66. We recommend completion of the Turbine Transition Course (Robinson R66) prior to enrolling in this course, although it is not required. What is the Purpose of the Full Down Autorotation Course? This course will satisfy the training requirements for an eligible pilot to successfully transition from autorotations with a power recovery to full down autorotations. 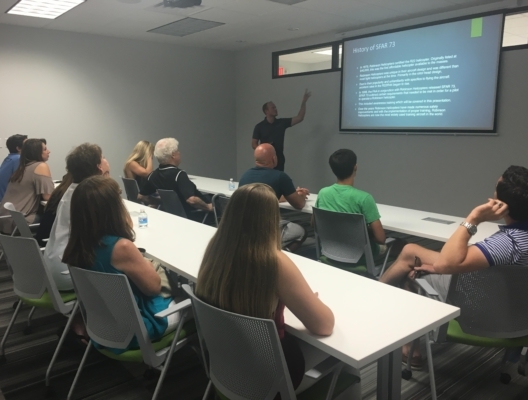 The course is particularly excellent for Certified Flight Instructor (CFI) candidates as they must prepare for the full down demonstration on the FAA check ride. Others curious about full downs would be good candidates for the course. Your autorotational skills will be polished when we are done with you! What is a “Full Down Autorotation”? When a helicopter loses power to turn the main rotors, a helicopter pilot must ensure continued rotation of the rotors to support a controlled descent to the ground by entering an autorotation. When a helicopter autorotates, it descends into air, creating an upward flow of air through the rotor disc. This causes the helicopter rotors to continue spinning because of a wind mill effect. 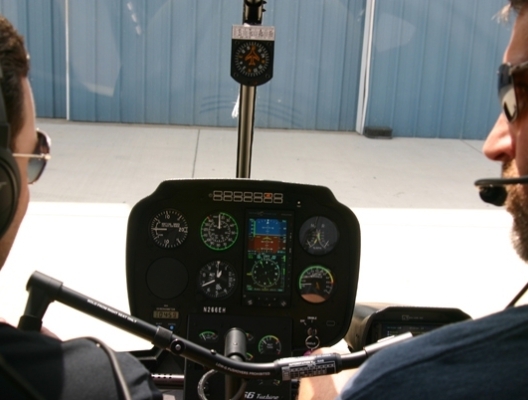 Once the ground nears, a helicopter pilot must skillfully decrease the high rate of descent by flaring the helicopter’s nose up, thereby using the power stored in forward airspeed to arrest the rate of descent. At approximately 8 feet above the ground, the pilot must level the helicopter and prepare for a soft descent to landing. As the helicopter settles toward the ground, what’s left of the helicopter’s now very minimal rate of descent is cushioned by pulling lift into the rotor system, using all available energy from rotor RPM to cushion the landing. The length of time required to complete the Full Down Autorotation course depends largely on your availability. It can take as little as 1 week to complete if a full schedule is maintained. Why 7 hours of Dual Instruction? This course is based on pilot proficiency rather than FAA minimums. The completion time of 7 hours is based off of the average completion times for students who have met the eligibility requirements prior to beginning the course.